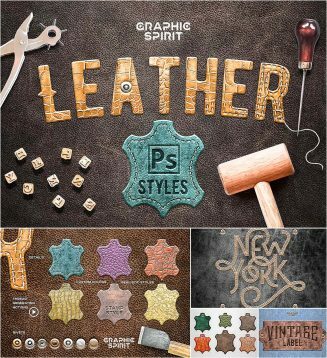 This is a set of layer styles and action with which you can create realistic leather designs. File format: .atn, .asl, .png for Photoshop or other software. Tags: effect, layer, leather, photoshop, style, texture. Try again! We fixed it!